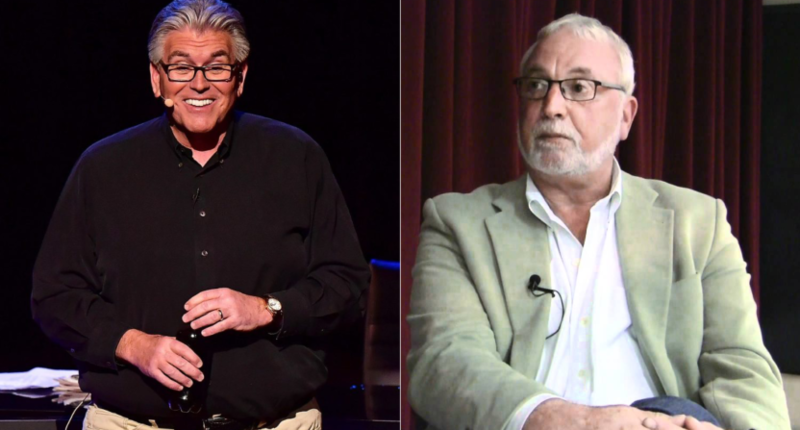 Mike Francesa comments from vacation on Phil Mushnick's "wild lies" and "nasty ramblings"
Francesa made the rare move to address something Mushnick wrote about him. From vacation, no less! Seems Mike Francesa isn’t made of the stuff that would allow him to bow out graciously or gracefully. Last week, as per reliable sources, another in-house screaming match, this one with WFAN boss Mark Chernoff, whom Francesa apparently blamed for losing a head-to-head ratings period to Michael Kay’s ESPN-NY radio show. Chernoff, we’re told, shouted back. But how can we expect Francesa, such a bad winner, to be a good loser? And to think Chernoff helped “lose” those post-9/11 tapes in which Francesa parlayed the Islamic terrorist attacks to conclude that the loyalty of American Jews should be questioned. For that cover-up, Francesa should always be indebted to Chernoff. That is quite the fiery statement, especially when it comes to “the other wild lies and crazy accusations” (presumably the post-9/11 tapes allegations). Francesa isn’t quite right that they were “already dispelled,” as no one’s ever been able to find proof one way or the other, and Deadspin’s piece on the Sept. 12 tape could be evidence for either side; it had Francesa and Russo saying some problematic things, but not specifically what Mushnick attributed to them. But he is correct that he’s a regular presence in Mushnick’s columns, and usually not in a good way. In any case, perhaps the most interesting part here is that Francesa not only weighed in on a Mushnick column, but did so from vacation. He usually just lets these shots slide. But perhaps he felt compelled to given Mushnick’s specific allegation about Francesa fighting with Chernoff? Regardless of the motivation, it’s now going to be worth watching if Mushnick lets this go, or if he decides to shoot back again. The chances of the Francesa-Mushnick war heating up further seem pretty decent.